The correctly planned public address system is of extreme importance for each conference hall. The wrongly calculated and wrongly laid-out public address system could lead to unwanted microphonics, discomfort of the delegates in the room and low sound in the room. Using of quality sound systems and the correct layout of the loudspeakers in the room is a key factor to achieve comfortable audio environment in the room, clarity of speech and high inteligibility. It is important to bear in mind also who will work with the installed equipment – the systems offered by us are envisaged to work faultlessly, after the initial adjustment, without any need of permanent presence of qualified operator. Once installed and adjusted by a specialist of ours, the equipment will work in the best way, without any need of permanent adjustments and configuration. Congress Engineering offers design and mounting of professional conference and background sound of small, medium and big rooms, stores and congress centres. Flexibility, reliability or ease of use: This is what the Plena public address systems offer to everybody. The Plena products are ideal solution for small, medium and big conference halls and centres. The different system elements could be combines and adjusted to any place practically: From a simple system for connection to professionally designed multifunctional configuration. Plena is expandable low-cost public address system with wide warranties. The system guarantees use to years to come. Without any compromise in regards to the quality, the Bosch loudspeaker series represent the complete solution of extremely attractive price and high quality. All acoustic products reach or exceed all international standards. No matter whether music is played or speech is heard, Bosch loudspeakers are reliable, require minimum effort in case of adjustment and high power and they are distinguished by high intelligibility and clearness of sound. 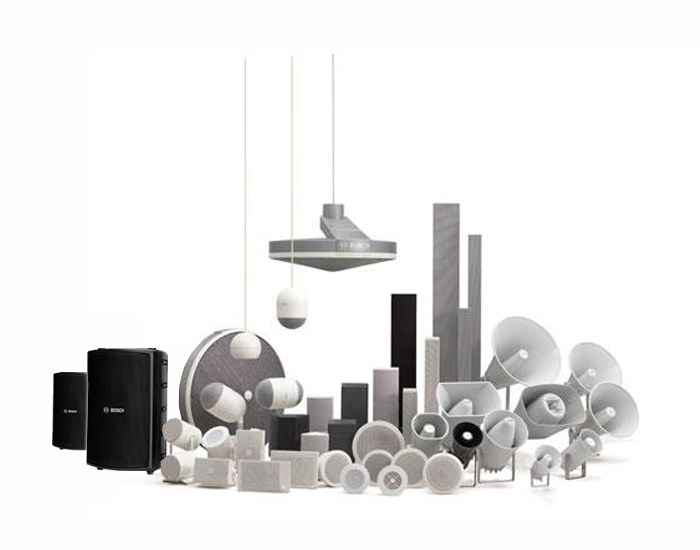 Bosch is doing its best to be in compliance with the highest quality of the sound with stunning design and form. 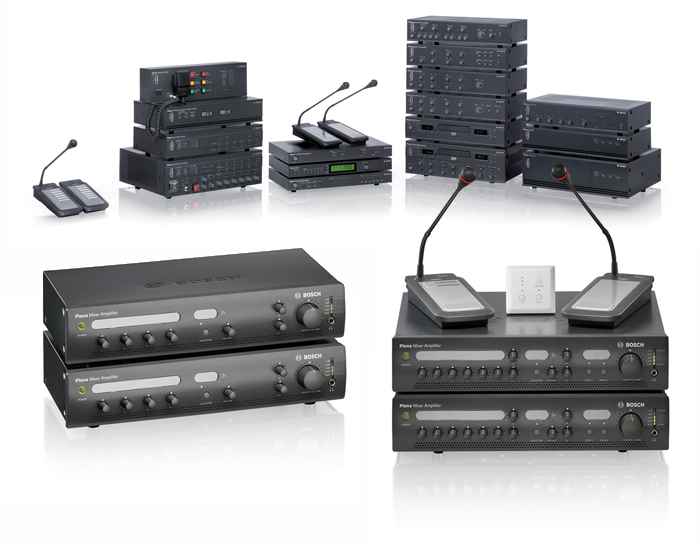 All Bosch microphone systems are intended for public address and disclosure systems, different in nature and scale, with wide range of applications such as in churches, theatres and conference centres, small and big rooms and premises. 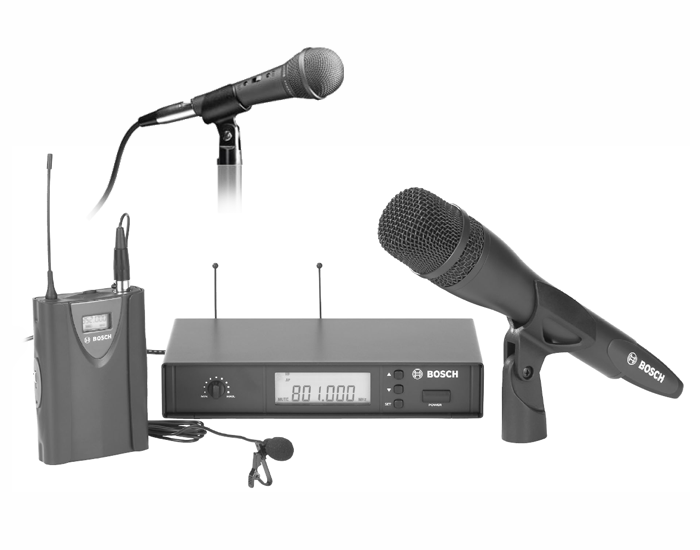 The wireless microphone systems are intended for restaurants, conference centres and premises, houses of prayers and churches, hotels, stores and nay other applications. Close Talk manual microphone id intended for close talking and is ideal for short messages.